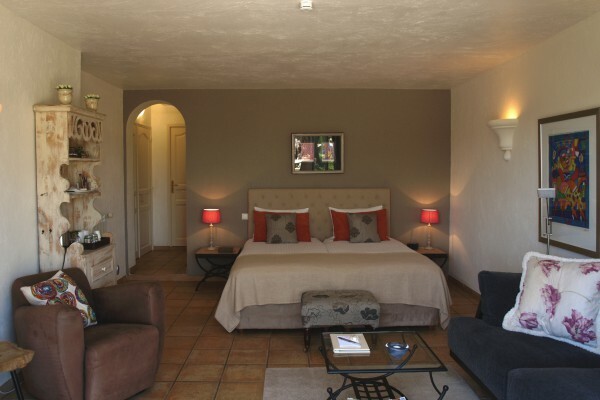 In la Colle sur Loup at about 3 kms from Saint-Paul-de-Vence and at only 17 kms from Nice and the airport, we warmly welcome you in our villa where three beautiful rooms are awaiting our guests. The three rooms are situated on the garden floor and each room has its own terrace, bath or shower room with toilet, television with DVD-player, Wi-Fi and small refrigerator. The swimming pool and sun beds are at the disposal of our guests. We also have a jeu-de-boules field on the premises. All around the property you can enjoy beautiful views of the valley and the village of La Colle-sur-Loup. The villa is very peacefully situated at only a few minutes from the village. In the morning we offer you a French breakfast in our attractive dinning room or, weather allowing, on one of our terraces. We have a parking in our closed garden. Our rooms are not suitable for children under the age of 16 years. Did you stay in Villa Cédria Chambres d'Hôtes / B&B? Let us know what you thought about it and help others to make the right choice! * I confirm having stayed in Villa Cédria Chambres d'Hôtes / B&B. 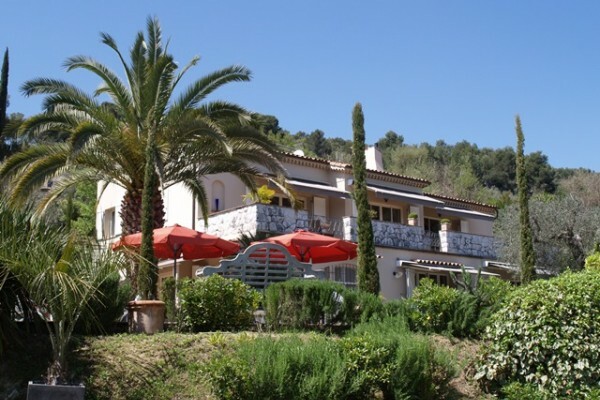 Find other bed & breakfasts in La Colle-sur-Loup, all bed & breakfasts in Nice, all bed & breakfasts in Alpes-Maritimes or all bed & breakfasts in Provence-Alpes-Cote d'Azur.